Note: This article only talks about gas/propane furnace. If you are looking for an oil furnace or electric furnace, you can read our Oil Furnace Buying Guide or Electric Furnace Buying Guide. What Furnace Efficiency is Right for You? How much does a gas furnace cost installed? That’s the question we answer in the most comprehensive detail you’ll find anywhere. You’ll soon have a very good idea of what a furnace will cost with the Quality, Performance, Efficiency and Size you want. The average furnace prices you might find elsewhere are meaningless because they don’t take those important factors into consideration. For example, a $1,200 furnace could be a cheap, single-stage 80% furnace with 120,000 Btu capacity, or it could be a quality, two-stage 90% furnace with 60,000 Btu heating. In most cases, sister brands have identical furnace lineups with different branding. These furnace lists from the Rheem and Ruud sites show that the model designations are the same except for a “U” for Ruud models and an “R” for Rheem furnaces. Basic performance: Single-stage gas valves and single-speed blowers create louder heating with temperature fluctuations including some unheated air at the start and end of the cycle. They’re made by ALL brands. Better performance: Two-stage gas valves with multi-speed and variable-speed blowers run at low capacity most of the time to produce quieter heating and better temperature balance. Most are made by Standard and Premium brands. This is a measurement of how much of the heat that is produced is captured and pushed into the ductwork rather than being lost with the vented combustion gases. You’ll see “AFUE” listed after the efficiency percentage. It stands for Annualized Fuel Utilization Efficiency. In 90% and higher furnaces, performance and efficiency go together because two-stage heating is more efficient than single-stage heating, and variable-capacity heating is more efficient than both. When comparing gas furnace prices, knowing the differences in quality and performance allows you to evaluate and choose your best option. For example, a $3,000 single-stage 80% Payne furnace might last 12-15 years and be ideal in a warm climate or a home you plan to sell in five years. On the other hand, a $6,000 modulating 98% Lennox furnace will last 20+ years and be a good fit if you live in a Northern climate and plan to live in your home indefinitely. Every model of furnace is made in different sizes to provide the proper amount of heat for the space it serves. Most models are available in sizes from about 40,000 Btu to about 120,000 Btu in increments of 10,000 to 20,000 Btu. Given that there are many parameters (like size, efficiency ratings, heater stages) for gas furnace. We need to set an equal baseline before we can list and compare the prices for each brand. In this list below, each gas furnace includes the same and common parameters: PSC blower, One-Stage 92% AFUE, 70,000-75,000 BTU which is mid-sized home of around 2,000 square feet, 10-year warranty exclude labor fee. The cost list below is from an average baseline: Standard Brand (mentioned in the above section), 92%-94% AFUE, PSC blower, No New Ductwork, 10-year warranty and average labor fee. We also made a more detailed guide of Furnace Replacement Cost and Installation Cost, check it if you’re trying to dig into this section. When the new furnace is a different physical size than the old one, a new plenum to connect it to the ductwork must be made. New connections for the cold-air return and exhaust might be required too. In most installations, the ductwork other than the plenum and connections will work. However, if you’re installing a furnace in new construction, then ductwork will have to be installed. Leaky ductwork wastes heat and money. It makes noise, and prevents heat from getting to some rooms. If your ductwork is more than 12-15 years old, it should be inspected by an HVAC contractor to determine if it needs repair. You will have to pull a permit from your local building department to have the new furnace inspected for safe, proper installation. Some utility companies offer them for free, or you might have to pay for one. You will need to replace your thermostat if your new furnace has performance features like two-stage heating or continuous low-speed fan that are not supported by the old thermostat or if you’re adding a central AC. Many homeowners also upgrade their thermostat to a programmable model that Energy Star says cuts the average heating and cooling costs by 10% or a Wi-Fi thermostat like Nest that allows them to monitor and control their HVAC system with a smartphone and app. Most brands make programmable thermostats including Wi-Fi models, so one can be included in the estimates you receive. A furnace should be tuned up yearly to every five years based on a range of factors, it costs $115 to $200 based on the checklist of services included. Average cost is $140. More information can be found in our Furnace Tune Up Cost and Guide. Getting the right size furnace for your home is very important. One that is too small won’t heat sufficiently, will run constantly and will have premature mechanical problems. A furnace that is too large will make more noise than necessary, and in most cases, it will heat past the set point, creating hot spots and significant temperature fluctuations. The first step is to determine how much heat you need in your home. This is called the Load Calculation. There are two ways to determine this. Zones 1 & 2 (hot): 30-35 Btu/sq. ft. Zone 3 (warm): 35-40 Btu/sq. ft. Zone 4 (moderate): 45 Btu/sq. ft. Zone 5 (cool): 50 Btu/sq. ft. Zone 6 (cold): 55 Btu/sq. ft. Zone 7 (very cold): 60 Btu/sq. ft.
It’s easy to see how a load calculation will yield a more accurate estimation of the size of the furnace required for your home. Once it is known how many Btu’s are needed to keep your home comfortable in the coldest weather your region gets, you must factor in the furnace’s efficiency to choose the right size. For example, if you need 100,000 Btu’s of heat in the coldest weather, then you must choose a furnace with the capacity and efficiency to get that much heat into your home. As you read furnace specifications like those for this 93% efficient Armstrong furnace (see page 2) the input Btu’s are the total number of Btu’s the furnace makes. Output Btu’s are the Btu’s that transfer into your home’s ductwork. Here are some estimates using common efficiency levels and Btu input and output. The output is the important number. Since furnaces in each model are made in increments of 10,000 to 20,000 Btu, getting the number “perfect” is often impossible. An experienced furnace contractor will help you decide which furnace to choose when your calculation falls between two. If you’re committed to heating your home with as little environmental impact as possible, then the most efficient furnace you can afford is the answer. The above Efficiency are roughly estimated. We also developed a Furnace Efficiency Savings Calculator to help find a better balance between equipment cost and electricity cost. The longer you intend to live in your current home, the more it makes sense to choose a high-efficiency furnace. If selling is in the plans, you won’t recover the cost of a very efficient furnace, but keep in mind in cold climates that home buyers might want to know how efficient the furnace is. That will help them estimate what their heating bills will be, and might affect their offer on the home. Warning：Before you dive into brands reviews, we strongly recommend you spend 70% of your research time on finding a qualified contractor. The gas furnace is not a traditional appliance and most brands are reliable. My first furnace came with the house. As a result, when it started getting noisy and blowing cold air, barely one year after I moved in. I did not want to sink my money into something I knew little about. Consequently, after some research, I settled on buying the York TM9V. Its 96 percent efficiency rating meant that the upfront installation cost and purchase were a bit high. However, I expect to make great savings from the high efficiency of this furnace. It has been two great years with this furnace and it has no problems at all. I expect it to stay this way for at least another twenty years. A reputable company in my town installed the furnace; something I attribute to its reliability four years after installation. The warranty terms were quite favorable, so I decided to take a full ten-year warranty. This has greatly contributed to the low running and maintenance costs. Except for a few issues, last year, which was covered by the warranty. The system has been running quite smoothly. This furnace has worked quite well for my three-bedroom house in Duluth. Even in the middle of winter. I have seen a forty percent drop in my average gas bills since the system became operational. I have been using the furnace for seven years now. During that time, I have only had one crucial service call to replace the gas inlet valve. Thanks to my warranty, regular change of air filters have ensured the system continues to run efficiently. This unit was actually installed by my aunt. On the winter of 2012, when she installed it. Despite the house, being old and poorly insulated. This powerful furnace still managed to keep the house warm enough. My only regret is that I live so far away. As a result, I will not be able to carry the furnace with me. This system has really changed our lives. Before this, we had an old, inefficient furnace that required a lot of banging in order to run. In addition, we had to use kerosene heaters so we did not freeze to death. Two years ago, we decided we had had enough. After careful research, we settled on the Goodman. I moved into the house in the year 2009. I learned that the Trane furnace had been in operation for about ten years. Since then, the furnace has continued to give me reliable room heating. In fact, the only service I have had to give it has been regularly replacing the air filters. I would definitely buy a Trane again, if this system does ever need replacing. After a few run-ins with bad contractor. We finally landed a contractor that is willing to do the job well. He installed the system in just one day. Four years later, the furnace is still warming up pour house nicely. I would definitely recommend a York to anyone seeking to install a furnace. They are reliable and unlikely to break down in the middle of winter. Since the year 2000 when I installed this furnace. It Hs not required any parts replacement. I appreciate the great build of these furnaces by Amana. I would definitely recommend it to anyone who wants a furnace installed. If I ever need to change my furnace, I will definitely be installing an Amana. The furnace came as part of the house when I purchased the property ten years ago. Except for one incidence, which was entirely my fault, the system has continued to run smoothly. During that time, I had forgotten to do a regular change of the air filters. I estimate that the furnace could continue to offer reliable service for at least another ten years. Overall, the system is a very effective and helpful product to a client. We recommend professional installation. A gas furnace must be installed properly to prevent dangers (explosion from the gas leak, poisoning by carbon monoxide) and to run efficiently and durably. There’s too much at stake not to do it properly. Are you in the market for a complete HVAC system? See our Heating and AC Unit Combo Prices Guide or Best HVAC Systems Guide for complete information on air conditioning. Do you have any question about your replacement? Is a 80,000 BTU 96% efficiency furnace installed in a home 2,000 sq. ft. 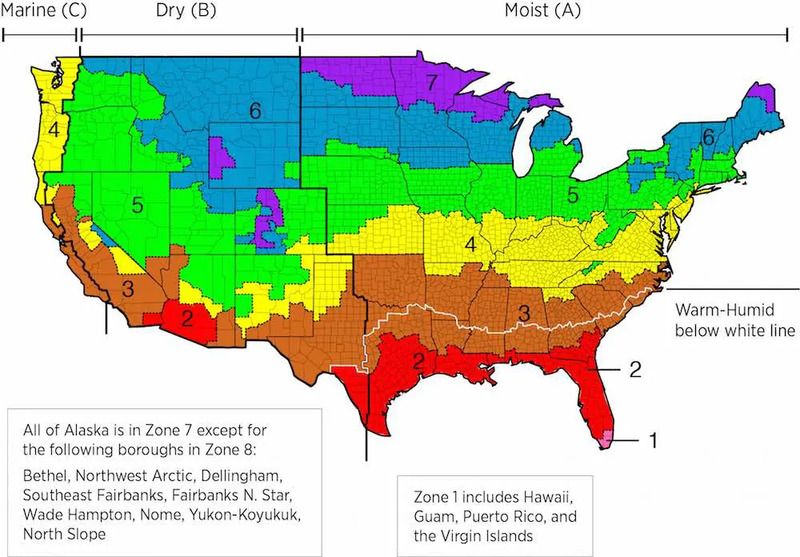 Zone 5 going to work properly? Great information on all aspects of HVAC. Tells me that the newly installed furnace might be to small. It’s a an ICP Comfortmaker. House a 3000sqft ranch and company that installed it used a 92% efficacy, with 80,000 btu rating, single stage blower. I live in Central Ohio, which is zone 5. What do you think? Based on the calculations given on this page, you need 150,000 BTUs of output (3,000 sq ft times 50 BTUs/sq ft). This means a furnace rated at about 165,000 BTUs at 90% AFUE, or 160,000 at 95% AFUE.